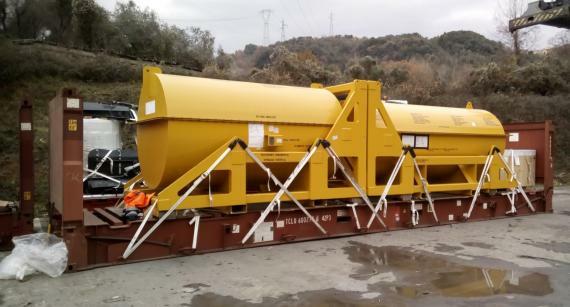 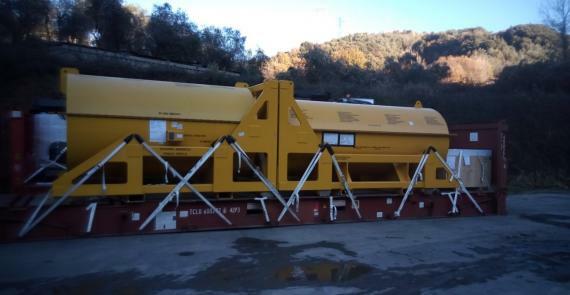 2017 has started well for Fortune International Transport in Italy with the shipping of a turbine and its machinery to India. 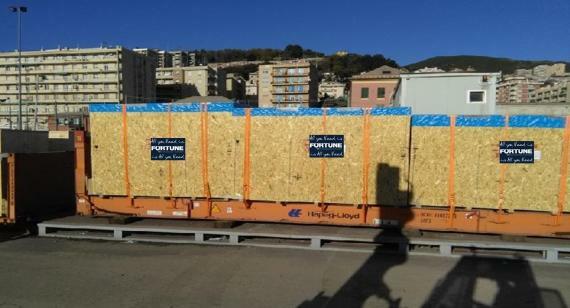 The 'all-Italian' turbine, produced by GE in Florence, was loaded onto the vessel departing from La Spezia destined to a facility for the production of fertilizers in India. 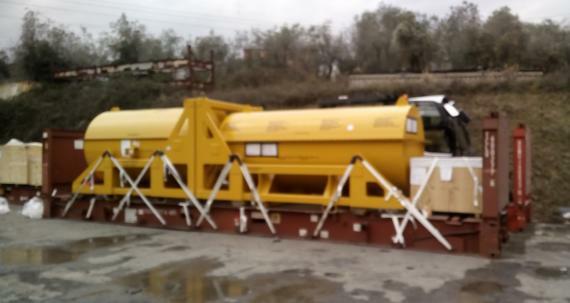 The various pieces with oversized measurements, some packed and some unpacked, were placed on flat-rack containers and properly & safely secured as displayed in the below photos (click to view full size). 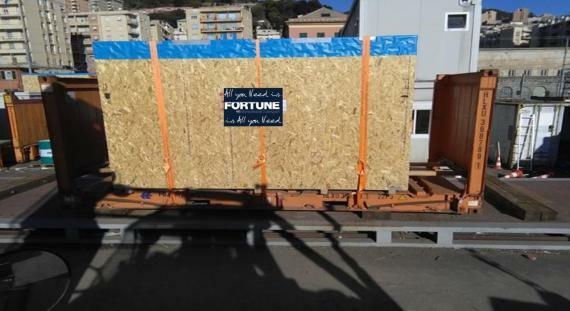 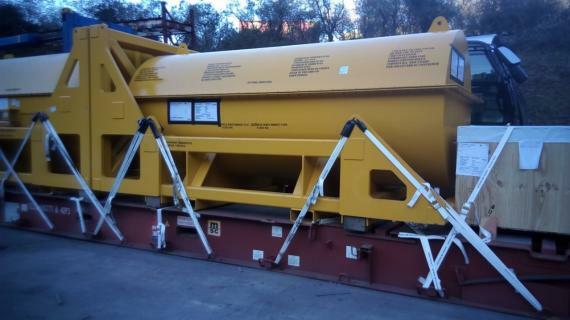 This high-value cargo (EUR €3 million) was successfully handled, all under the careful supervision of Fortune International Transport (PCN members in Italy, based in Milan).